Guest article – Roger Harrabin to the rescue! “It’s not often you get a top BBC journalist pooh-poohing the corporation’s top news programme, but that is what we saw a couple of days ago. The story begins with Monday’s Today programme, which told listeners in no uncertain terms that “there could be no insects left on Earth in a hundred years”. This story is based, of course, on the recently published scientific review of papers on insect populations that has been getting heavy play in the left-wing press this week. The paper, published by two Australian researchers, claimed that insect populations across the globe are crashing and that disaster therefore loomed (most scientific papers these days seem to have similiar punchlines). However, within hours of the news splash on Monday, questions were already being asked about the reliability of the findings and since then, experts in the field have raised concerns too. One entomologist, Steven Falk, has since said “Will insects really disappear in 100 years? Of course not”, a position supported by Barnaby Smith of the Bumblebee Trust. So it’s has been no surprise to find the mainstream media backsliding too. ITV’s Tom Clarke has written on the subject, saying that “making claims about the diversity or abundance of insects which aren’t necessarily supported by the facts risks undermining the power of the case”. Indeed. So there you have it: the BBC’s flagship news programme is engaging in “wild talk”. It’s official. So I a ran a poll on Twitter and got a pretty comprehensive response. We do not need BBC reform. We need the license tax axed. 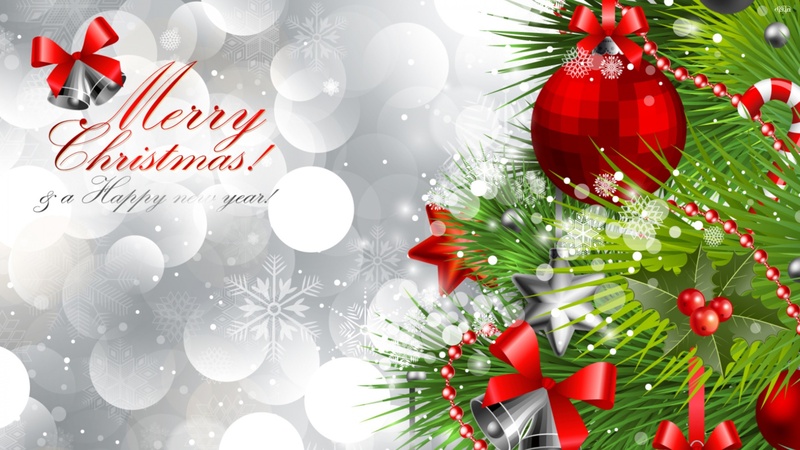 May I take this moment to wish all at Biased BBC a very Merry Christmas and thank you for your continuted patronage of the site! BBC – on the frontline of the gender wars! The BBC is currently out to push the #Metoo agenda as far as possible since that is aimed at undermining men but at a deeper level it is also all about subverting gender identity altogether – and starting in the schoolroom. “The people of Britain are under attack. We are being brainwashed. We are being brainwashed completely, ceaselessly and cynically… So just who is doing the brainwashing? How are they doing it and for what purposes? 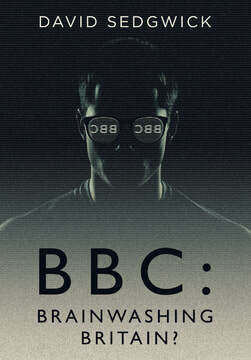 David Sedgwick’s latest book takes the reader on a disturbing journey deep into the realms of mistruth and deception to reveal, for the very first time, the many tricks and subterfuges used by the British Broadcasting Corporation. Every time we engage with BBC content, the author argues, we are exposing ourselves to a very dark art: the art of brainwashing. Wilful, deceitful and incessant, Orwellian parallels define the modern corporation and should chill the soul of all who cherish freedom and liberty. Mind control is here. This is not fiction. I commend David’s book and will be doing a video interview with David in January! 4000 people vanish in front of the BBC…. The scene. Whitehall. Just a few yards from the doors of Downing Street. 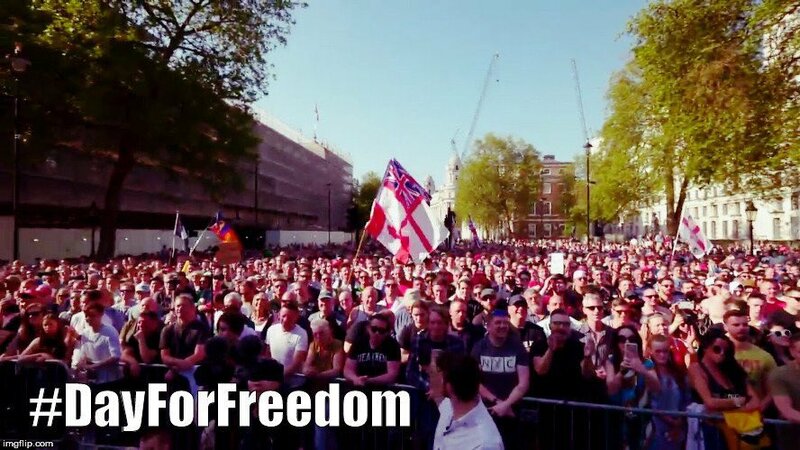 A crowd of 4000 people gather to demand Free Speech. The ‘world class” journalists of the BBC somehow can’t find the event to report on it. Thus vindicating the event. Good old BBC – out to suppress speech it doesn’t like. For those interested, I have written an article on it here. Let’s see. In the past few days we have the welcome reconciliation between North and South Korea, a commitment from North Korea that it will stop nuclear testing AND release captured US Prisoners. We have Trump being nominated for the Nobel Peace Prize? And what does the BBC want to talk about? Yes – STORMY DANIELS. Well, I suppose it makes a change from “Muh Russians”! Their anti-Trump bias is visceral. Thoughts? MID WEEK OPEN THREAD…….AND AN INVITATION! Hi everyone! Reports of my demise have been somewhat exaggerated BUT I have been very busy launching Altnewsmedia.net along with a few million other things. I want to get Biased BBC back on track but I have a request. Is there any volunteers who would agree to help us keep the open threads ready as well as perhaps writing on the BBC’s egregious bias? I need your assistance – please message me via the site! And in the meantime, highlight the endless dready offensive bias!!! OK. This is what has kept me so busy in recent times – I am pleased to announce that ALTNEWSMEDIA is now live on Twitter, Facebook, Gab and Youtube and you can watch our launch trailer below. The web portal goes live in early 2018. I hope you will subscribe. We live at at time when the legacy media is dying, that new media is emerging but it is also being shapened by vested interested (Check out the great Twitter purge). I am determined to provide a serious on-demand alternative. The channel launches in early January. If you are sick of the biased BBC and its endless fake narratives, please support our new channel! Just subscribe to the channel here. START THE WEEK OPEN THREAD…. Monday morning arrives and so does the latest BBC/Guardian nothing burger about the Royals using “tax havens”. Can’t wait for the BBC to cover the Guardian’s Cayman Islands tax haven. Utter garbage from the comrades to start their week of bias. And a new week begins but the BBC never stops! Detail it HERE! 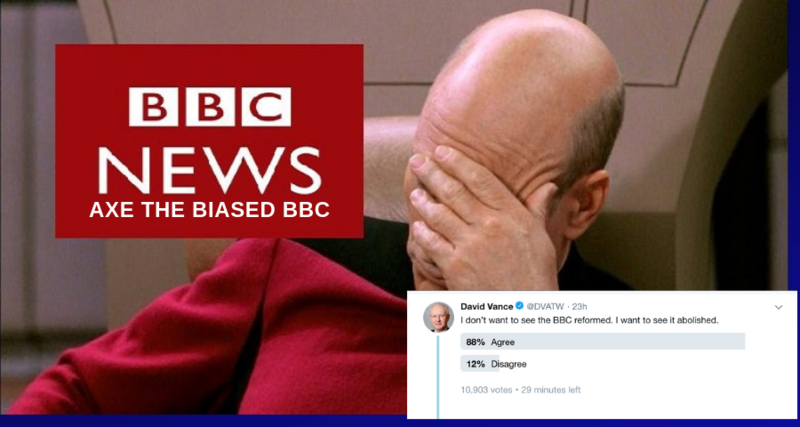 And as the weekend approaches, here is a NEW Open Thread on which you detail the bias spewing out of the BBC! It’s not just that the BBC is biased but that the bias is profound, insidious and damaging to our Nation state. A daily anti-Brexit story a day is de rigeur. One could be forgiven for thinking that the EU entirely funds the BBC output such is the globalist spin it puts on every major issue. Anyway, here is where you detail the bias! And as the weekend beckons, and the BBC dreams of future days of a Cornyn Marxist Government, here’s a NEW OPEN thread on which to detail the bias! Let’s be hearing from you then!! !